The trailer for Max Payne Retribution film has been released and was filmed in Kent! The 35 minute live action thriller features all the Max Payne action gaming fans love and follows the same characters, world and storylines from Max Payne 1 and 2. Max Payne Retribution was directed by Leroy Kincaide (Vengeance, Dead Zone) who also stars and produced by Chloe Chudasama (Freeman: New World Order). It stars Joan James Muixi (In the Fog, Price of Freedom), Gracie Tyrrell (Death of a Tree, Unforgivable) and Jon Campling (Kingsglaive: Final Fantasy XV, Harry Potter and the Deathly Hallows). According to the independent filmmakers, they have bigger plans for the short film, so you may have to wait until mid 2017 before we get to view the 35 minute live action thriller. Private locations in Maidstone, Thanet and Rochester were used for filming. Maidstone is town has many shops and restaurants along with the River Medway running through its town centre and linking it to other towns such as Rochester and Chatham. Previously filmed in Maidstone was Don’t Tell the Bride (2013), DIY SOS: The Big Build (2013) and Four Weddings (2010) among others. Medway is a district of Kent that includes the towns Rochester, Chatham and Gillingham. Thanet is a district of Kent that includes the towns Margate, Broadstairs and Ramsgate. Filming projects that have used the Thanet area include Emelie Sande music video (2016), The Lady in the Van (2015) and Eastenders (2015). Rochester is a mediaeval city with a cathedral, castle ruins and a high street on the River Medway. Previously filmed in Rochester were Jekyll and Hyde (2015), Great British Railway Journeys (2014) and Long Lost Family (2012) among others. Max Payne Retribution will premiere in mid-2017. Secret Britain is a BBC series which explores the hidden corners of the UK in search of the best landscapes in the country. Now in its third series, the production visited Kent between September and October 2015 to explore some of what Kent’s glorious countryside has to offer. 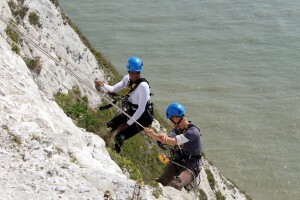 Presenters Ellie Harrison, Chris Hollins and Denise Lewis filmed at a variety of Kent locations including Sheldwich, Bonnington, Little Chart, Tonbridge, Rochester, Cooling and North Kent Marshes, The White Cliffs of Dover, Fairfield and Thanet Offshore Wind Farm. The village of Sheldwich lies south of Faversham and is on the edge of the beautiful Kent Downs. The Faversham area has been used as a film location for A Taste of Britain (2014), Southcliffe (2013) and Great Expectations (2012). In the Ashford district of Kent is the village of Bonnington with the The Royal Military Canal running through it as well as Little Chart which is home to the Ruins of St Mary’s Church. The Ashford area has previously been used as a film location by such The Apprentice (2015), as Emma (2009) and the infamous Kentish series, The Darling Buds of May (1991 – 1993). The West Kent market town of Tonbridge has a rich cultural heritage and spectacular scenery with beautiful countryside, castles, stately homes, gardens, farms, as well as sports and leisure facilities. Productions that have previously filmed in the area include Great British Railway Journeys (2014), BBC drama Missing (2010) and Countryfile (2009). In the Medway district is the historic town of Rochester and village of Cooling which overlooks the gorgeous North Kent Marshes. The Medway area has previously been seen on screen in Jekyll and Hyde (2015), The Mystery of Edwin Drood (2012) and Sherlock Holmes (2009). The world famous White Cliffs of Dover offers spectacular views of the English Channel and Dover Castle. This location has previously featured in Sherlock Holmes – A Game of Shadows (2011), On A Clear Day (2005) and Those Magnificent Men in Their Flying Machines (1965). St Thomas Becket in Fairfield is an isolated historic church in the middle of the Romney Marsh which dates back to 1200. The Romney Marsh area has been used as a film location for projects such as The Honourable Woman (2014), Parades End (2012) and Dr Syn: The Scarecrow of Romney Marsh (1964). The Thanet Offshore Wind Farm consists of 100 wind turbines which stretches for seven miles. The Thanet area has previously featured on screen in productions such as The Lady in the Van (2015), Eastenders (2015) and The Hotel Inspector (2012). Don’t miss the Kent episode of Secret Britain which will air on Wednesday 6th April 2016 at 21:00 on BBC One. 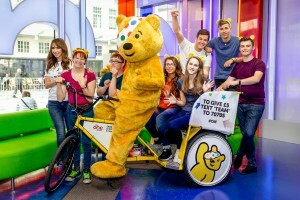 Returning in 2015 for its fifth year is The One Show Rickshaw Challenge, in aid of BBC Children in Need. With help from The One Show presenters Matt Baker and Alex Jones, six young riders embark upon an epic 470-mile journey pedalling a rickshaw. The cumulative total of money raised so far by The Rickshaw Challenge is over £7.9 million, all of which goes towards supporting disadvantaged young people in the UK. Tunbridge Wells is a town in West Kent, home to a host of historic buildings, specialist shops, churches and a busy town centre. Productions which have previously filmed in the area include Britain’s Best Bakery (2012), Terry and Mason’s Great Food Trip (2015) and Hunted (2012). Maidstone is the county town of Kent, home to a number of parks and shopping facilities, as well as The Maidstone Studios which is the UK’s largest independent High Definition TV studio facility. Productions which have filmed in the area include Take Me Out (2015), Later… with Jools Holland (2015) and Couples Come Dine With Me (2014). Rochester offers beautiful cobbled streets, parks and the Cathedral and castle while Chatham is home to The Historic Dockyard Chatham, Day Seven’s final destination before Team Rickshaw makes their way up to Elstree to finally complete the challenge. The Historic Dockyard Chatham is a popular filming location on account of its Georgian and Victorian architecture and authentic cobbled streets (which the rickshaw riders might be hoping to avoid!). The Medway area has previously been seen on screen in Jekyll and Hyde (2015), The Mystery of Edwin Drood (2012) and Sherlock Holmes (2009). The town of Gravesend is situated in North West Kent, with exceptional transport links up to London. Gravesend has previously hosted productions including Babylon (2014), The Interceptor (2015) and Great British Railway Journeys (2014). Dartford is situated close to Bromley and Bexley and boasts great travel links in and out of Kent. Full of quaint architecture and great guesthouses and hotels, Dartford has hosted other productions in the past such as Harry Potter and the Deathly Hallows – Part 1 (2010), Jo Brand’s Big Splash (2011) and The Inbetweeners (2010). Tune into The One Show on BBC One at 19:00, BBC One to follow Team Rickshaw’s progress from Friday 6th November until Friday 13th November, when the Children in Need Appeal Show will be airing. ITV’s new ten-part series Jekyll and Hyde is set in the 1930’s and features Robert Jekyll, the grandson of the original famed Dr Jekyll. This new action adventure starts with Robert Jekyll living with his foster parents in India, ignorant of his family history and his mysterious, inherited condition. The drama begins when Robert Jekyll unveils the nature of his ‘curse’ which sees him transform into Hyde in moments of extreme anger, stress and when lives are threatened. 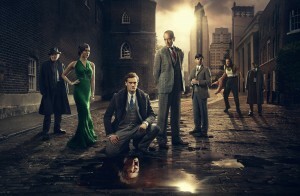 The show was conceived by Charlie Higson (Young Bond, The Enemy) and inspired by The Strange Case of Dr Jekyll and Mr Hyde by Robert Louis Stevenson. Higson executive produces the series alongside Francis Hopkinson (Henry VIII, Colditz, Wallander) and Foz Allan (Wolfblood, The Dumping Ground, Robin Hood) as Series Producer. Directed by Colin Teague (Torchwood, The Last Drop) and starring Tom Bateman (Da Vinci’s Demons, The Tunnel) as Jekyll and Hyde alongside Richard E Grant (Doctor Who, Downton Abbey) and Natalie Gumede (Doctor Who, Coronation Street). The Jekyll and Hyde production team chose to film in Kent between February and July 2015 at Rochester High Street where the exterior of Vraitch Vision doubles as Empire music hall in London and The Guildhall Museum features as the hotel where Dr Jekyll (Tom Bateman) first lodges when arriving in England. The Historic Dockyard Chatham was used to double as Gravesend Docks, Tenebrae offices and factory and various areas of the site feature as London Streets and markets. 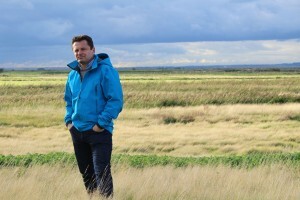 Elmley Nature Reserve features in episode three as the setting for Maggie’s (Niamh Walsh) country house, where Robert Jekyll, Garson (Donald Sumpter), Max Utterson (Christian McKay) and Hils (Ruby Bentall) visit before a showdown with The Cutter (Jason La Shard). The Fort Amherst tunnels are used in episodes 9 and 10 where Jekyll finds out about the powers of The Incubus. Rochester is a historic city with a Medieval Cathedral and castle. Productions such as Long Lost Family (2012) BBC’s The Mystery of Edwin Drood (2012) and Great Expectations (1989) have previously filmed in the city. The Historic Dockyard Chatham is set across an 80 acre site with Georgian and Victorian historic buildings, a dry dock, cobbled streets and industrial buildings. The location has previously been used in Call the Midwife (2012-2015), Mr Turner (2015) and Les Miserables (2013). Elmley Nature Reserve is a large expanse of marshland located on the Isle of Sheppey. The marshes have previously been used by productions such as Great Expectations (2012), Great British Railway Journeys (2014) and A Taste of Britain (2014). Based in Chatham, Medway is Georgian Fortress, Fort Amherst which is in a 17 acre park like setting with large tunnel complex, woodland, WW2 gun battery and sloping grassland. 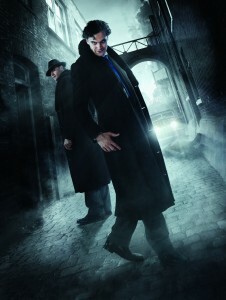 Fort Amherst has also been used as a filming location by Partners in Crime (2015), Sherlock Holmes: A Game of Shadows (2011) and The Mission (1987). Don’t miss Jekyll and Hyde which starts on Sunday 25th October at 18:30 on ITV. Baywatch star, David Hasselhoff, will return to UK television screens playing a fictionalized version of himself, The Hoff, in his new six part mockumentary series titled Hoff the Record. This semi-improvised comedy show commissioned specially by UKTV for Dave, will be based on The Hoff attempting to reignite his career, whilst being constantly challenged by his director, Josh Brooke-Webb, played by Craig Roberts (Submarine, 22 Jump Street), as they film a biopic of his life. As he lands in the UK to start a new life, The Hoff receives none of his preferential Hollywood treatment; instead, much to his dismay, he is landed with a star-struck driver and a first-time Personal Assistant. 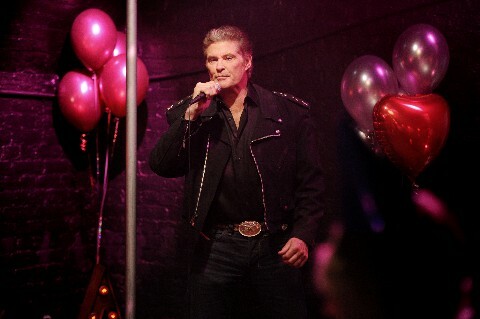 Hasselhoff’s fictionalised character has hit rock bottom. Will his luck change? The Hoff the Record team filmed at Fort Borstal near Rochester for three days in November 2014. Kent is featured in the 5th episode where a combat scene was staged outside the old prison. Don’t miss the Hoff the Record, which starts on Thursday 18th June 2015 at 21:00 on Dave and the Kent episode which airs on Thursday 16th July 2015 at 21:00 on Dave. This BBC Two series follows journalist and broadcaster Michael Portillo as he travels the country by train and looks into how Britain’s railways have shaped the country as well as the impact trains have had on our lives. On the journey between cathedral cities Norwich and Chichester, Michael Portillo travels across the South East and visits some delightful Kent locations. In episode 18 of the fifth series, he visits Gravesend where he discovers how army officer General Gordon influenced the town before he travels to Rochester to explore the one time home of renowned writer Charles Dickens. In the next episode, Michael starts his journey in Faversham where he visits one of the oldest breweries in the country, Shepherd Neame, to investigate how railways helped the brewery transport beer. He then visits Dover to explore the fortification at Western Heights before heading to Tonbridge where he learns how railways helped Tonbridge School to cricketing glory. Gravesend is on the south bank of the River Thames and has a cast iron pier, promenade and high street as well as international links at the nearby Ebbsfleet International station. Gravesend has welcomed other film productions such as Piggy (2012), Britain’s First Photo Album (2012) and Ashley Banjo’s Secret Street Crew (2012). Rochester is a historic City that boasts an impressive cathedral and castle that links back to the medieval period. The City has strong connections with Charles Dickens, and many TV and film adaptations of his famous novels have filmed in the area such as The Mystery of Edwin Drood (2012), Oliver Twist (2007) and Great Expectations feature film (1989). Faversham is a beautiful, historic market town which boasts nearly 500 listed buildings and is set on the picturesque Faversham Creek. It has many restaurants, shops, attractions and beautiful walks and has been used for various productions including Channel 4 drama Southcliffe (2013), Great British Story: A People’s History (2012) and the nearby Oare Marshes were used in feature film Great Expectations (2012). Dover is home to the infamous White Cliffs of Dover and Europe’s busiest passenger port. The area has been used for many filming projects such as Stiff Upper Lip – An emotional history of Britain (2012), Sherlock Holmes: A Game of Shadows (2011) and The Other Boleyn Girl (2008). Tonbridge is a West Kent market town with a rich cultural heritage and spectacular scenery. The area is surrounded beautiful countryside and boasts castles, stately homes, gardens, farms, as well as sports and leisure facilities. Productions that have previously filmed in the area include Piers Morgan’s Life Stories – Dame Kelly Holmes (2012), BBC drama Missing (2010) and Countryfile (2009). Don’t miss the Kent episodes of Great British Railway Journeys which will be shown on Wednesday 29 January 2014 at 18:30 on BBC Two and Thursday 30 January 2014 at 18:30 on BBC Two. ITV daytime show Peter Andre’s 60 Minute Makeover returns for its tenth outing with a new name and host. Reality TV star and singer Peter Andre plus a team of helpers and designers carry out surprise makeovers of deserving home-owners around the country. With the new series there is also a change of extending the one day time limit to make over the houses, meaning bigger and better transformations with the highlights being shown in 60 minutes. The interior designers on hand to help include Linda Barker, Julia Kendell, Leah Hughes and Ben Hillman who are experts in home renovation, recycling old furniture, and knowing how to add a personal touch to a home without the price tag. In May 2013, the 60 Minute Makeover team visited Faversham where they transformed a house as well as Herne Bay where the team tries to transform a bedroom and office in just one hour. In June 2013, the 60 Minute Makeover team also visited widower Steven Arnold and his daughter Charlotte in Rochester where they transformed a dining room and bedroom. They also makeover a house in Maidstone where Linda Wheatley returns home to find that a wall has been knocked down and her lounge and dining room has been swapped over – will the shock turn into delight? Faversham is a beautiful, historic market town which boasts nearly 500 listed buildings and is set on the picturesque Faversham Creek. It has many restaurants, shops, attractions and beautiful walks and has been used for various productions including Channel 4 drama Southcliffe, Great British Story: A People’s History (2012) and the nearby Oare Marshes were used in Great Expectations (2012). Rochester is a historic city with a Cathedral and castle which date back to the Medieval times. The city is strongly connected to Charles Dickens and many TV and film adaptations of his famous novels have filmed here such as BBC’s The Mystery of Edwin Drood (2012) and Great Expectations (1989). Herne Bay is located on the Kent coast and has beaches and seafront gardens as well as many shops and eateries, amusement arcades, and a windmill. Productions that have chosen to film in the area include Got To Dance (2012), Things I Haven’t Told You (2008) and French Dressing (1964). Maidstone is the county town of Kent and lies on the River Medway. It boasts thriving shopping areas, and nearby idyllic. Maidstone has been featured on programmes such as DIY SOS: The Big Build (2013), and Sarah Beeny’s Selling Houses (2013). Rochester – Monday 25th November 2013 at 14:00 on ITV1. The tear-jerking ITV show that traces and reunites family members who have been separated for years comes to Rochester. In this episode the team tries to help a local family answer questions about a relative they haven’t seen in years and hopefully bring them back together. Series 2 returns with presenters Davina McCall (The Biggest Loser, Got to Dance and The Million Pound Drop) and radio and TV personality Nicky Campbell exploring how and why families drifted apart. In some cases, despite having painstakingly searching for each other for many years they have had no luck. Davina and Nicky visit Rochester and the episode follows two stories. The first is about a young man, who at the age of 6 discovered that his father wasn’t his biological father. After years of many questions will he finally receive some answers about his father, and will he ever get to meet him? The second story is about a woman who also needs answers about her father after discovering at age 10 that her “older sister” was actually her mother and her real father was forbidden from seeing her. After searching for years for the mystery man, will Davina and Nicky be able to help bring them together? Rochester is a historic City that boasts an impressive cathedral and castle that links back to the medieval period. The City has strong connections with Charles Dickens, and many TV and film adaptations of his famous novels have filmed here such as Great Expectations (1989) and BBC’s The Mystery of Edwin Drood (2012). Kent Locations Used: St George’s Church in Gravesend & Rochester. To celebrate the Charles Dickens bicentenary and for a special Christmas episode as well as an episode for Lent, the production crew for popular BBC programme Songs of Praise came to Kent to film in November. 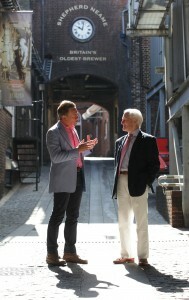 Aled Jones comes to Kent to investigate the life and faith of Charles Dickens. The programme includes contributions by Dickens’ great-great-grandson and Rochester Cathedral Choir. St George’s Church in Gravesend became the central location for this Dickensian episode of the programme. Singing well known hymns and carols, members of the congregation were invited to attend wearing period costume! St George’s Church has a fascinating history: it is said that the body of Pocahontas, a Native American who left her home in Virginia to marry an English man, was interred in the vicinity of the church after her previous resting place was damaged by fire.The church has been a place of worship for over 250 years. Situated in North West Kent is the town of Gravesend which has exceptional transport links up to London, a cast iron pier, promenade and high street. Gravesend has previously hosted productions including The Interceptor (2015), Babylon (2014) and Great British Railway Journeys (2014). The historic town of Rochester has cobbled streets, parks and the Cathedral and castle . The Medway area has previously been seen on screen in Jekyll and Hyde (2015), The Mystery of Edwin Drood (2012) and Sherlock Holmes (2009). The Songs of Praise Lent Programme will be shown on Sunday 19th February 2012. A four-part documentary granting rare access to a group of young Amish as they leave their closed communities in mid-west USA for the first time and travel to Britain. Kent Filming Locations: Rochester town centre, Joss Bay, Margate and Folkestone. This documentary observes an extraordinary cultural exchange and follows five Amish young people as they leave their strictly sheltered lives to experience the outside world through a rite of passage called ‘Rumspringa’, which usually begins at the age of 16 and lasts as long as the teenager needs, before full baptism into the Amish Church. This group has decided to travel to Britain where the five Amish youngsters live with groups ranging from London street dancers to castle-dwelling aristocrats. They hope to share their clean-living values with their British counterparts as well as learning and understanding what British teenage life is all about. The programme includes scenes filmed in Rochester town centre, Joss Bay, Margate and Folkestone. The historic city of Rochester has beautiful cobbled streets, parks and the Cathedral and castle. Rochester has previously been seen on screen in Jekyll and Hyde (2015), Great British Railway Journeys (2014) and Great Expectations feature film (1989). In Thanet, Joss Bay is a 200-metre sandy beach in Broadstairs whilst Margate is a vibrant seaside resort, with complementary historic and modern architecture. The Thanet area is popular for filming having been used for projects such as The Carer (2016), The Lady in the Van (2015) and The Great British Bake Off (2014). Folkestone is a seaside town which boasts an elegant clifftop promenade, a coastal park, fishing harbour and Victorian cliff-top lifts. It has featured in productions The Tunnel: Sabotage (2016), Is Anybody There? (2009) and Moon and Son (1992).